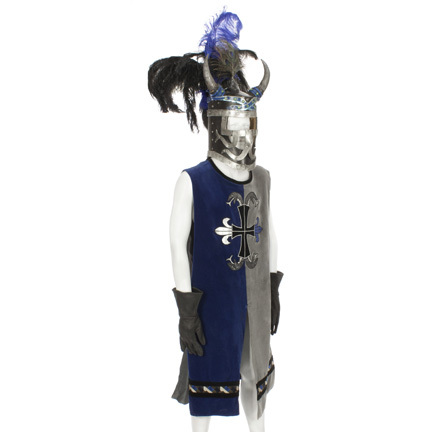 This medieval outfit was worn by the character "Chip Douglas," portrayed by actor Jim Carrey, in the 1996 black comedy film, "The Cable Guy." 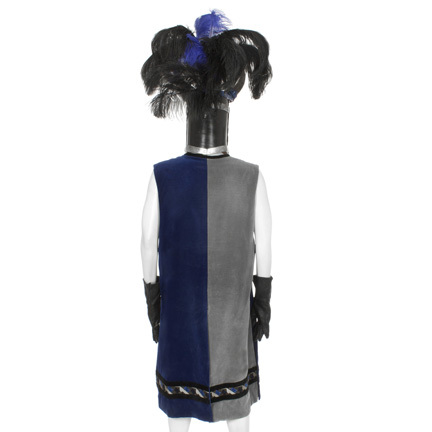 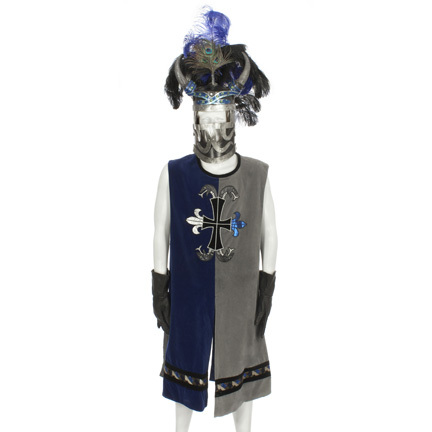 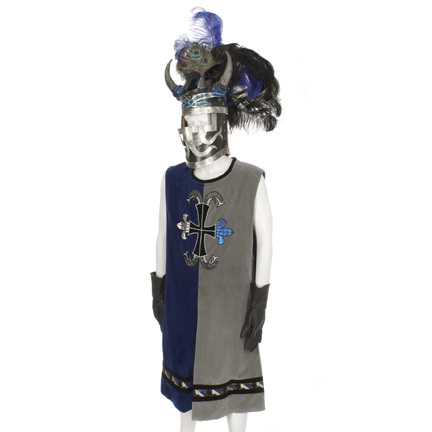 The outfit consists of a blue and gray velvet tunic, black gauntlet gloves, and a helmet with horns and feathers. 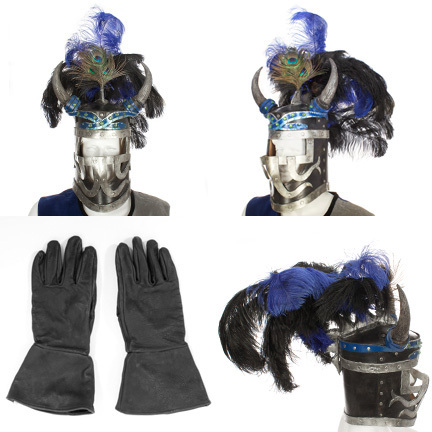 The helmet is constructed of leather, painted to look like metal. 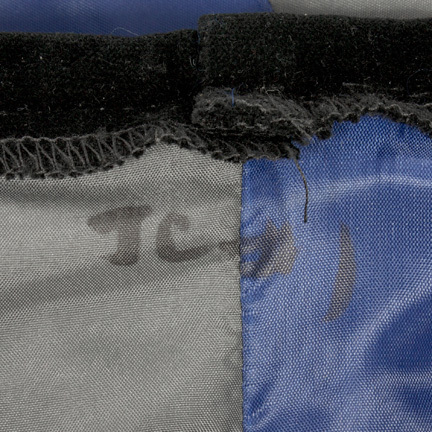 The initials "JC" is handwritten in faded black ink on the inside collar of the tunic. 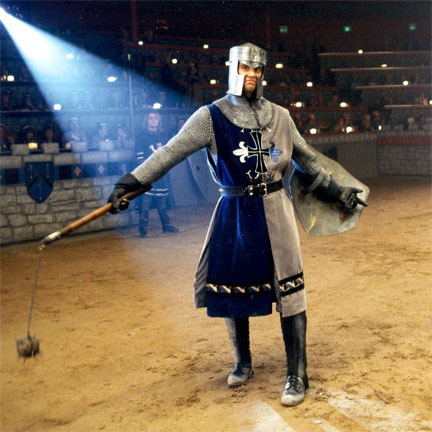 Mr. Carrey wore the outfit during the Medieval Times scene when he and Steven (Matthew Broderick) battle it out in the arena. 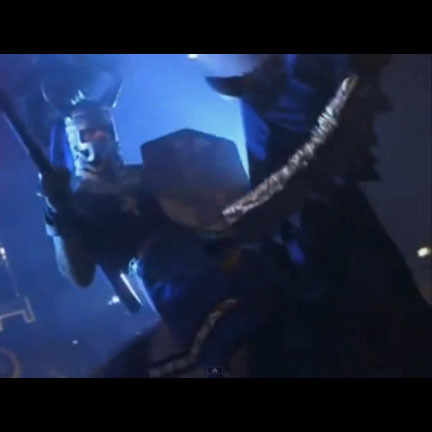 The helmet was worn exclusively during the joust scene while the gloves and tunic were worn throughout the entire fight sequence. 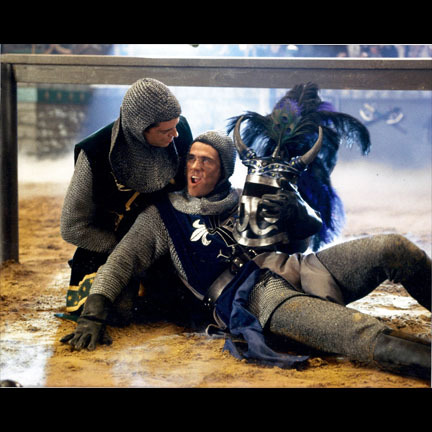 Jim Carrey was nominated for three MTV Movie Awards for the film in 1997, winning for Best Comedic Performance and Best Villain.